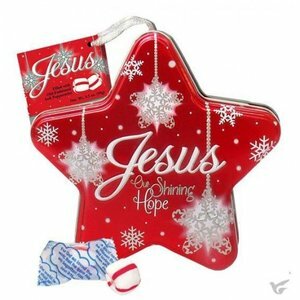 This beautifully embossed star-shaped tin features Jesus Our Shining Hope. This tin is filled with Old-Fashioned Soft Peppermints. Makes a great gift or beautiful Christmas decoration! 225 gram.